I have been using and teaching Adobe Photoshop Elements since version 1, and now it is in version 12. 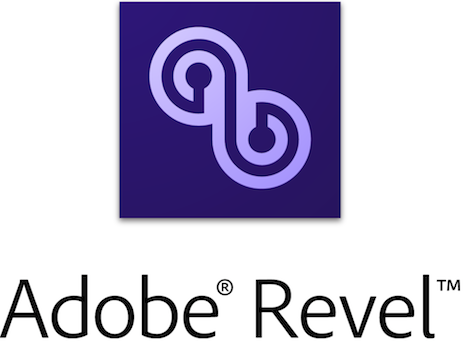 With each annual update release, Adobe adds features to enhance the user experience, and leaves intact and stable the core photo editing experience. Version 12 is very similar to version 11, which was the third major interface change in the product’s life. Version 12 brings the mobile device and app duo into prominence, without diminishing the computer software workflow. Bob Gager is Adobe’s Senior Product Manager for Photoshop Elements. He answered informational and critical questions in this candid Q & A exchange. Nemo: Am I correct that the Organizer is the major beneficiary of PSE12’s improvements, for existing PSE users who have versions later than 7, which is when your prior new look and feel was introduced? How energized is Adobe to have users with earlier versions upgrade frequently, or at all, and on what realistic timetable, notwithstanding PSE’s modest cost version to version? Bob: No. 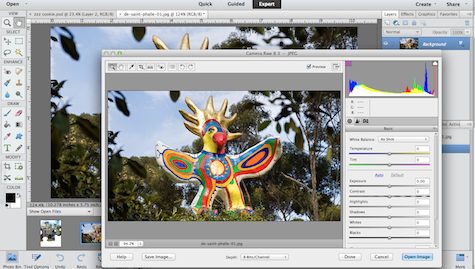 PSE12 has a number of new editing features as well. With each release we try and add a nice set of new features and improvements to both the Organizing and Editing capabilities of PSE. We find that a large number of folks upgrade each year to the latest version, and we do offer discounted upgrader pricing to make it less expensive for folks to keep up with the latest. How much effort is made to improve glitches and annoyances from prior carryover features, instead of building in new goodies? The team spends equal time working to improve existing features as well as add addition ones. 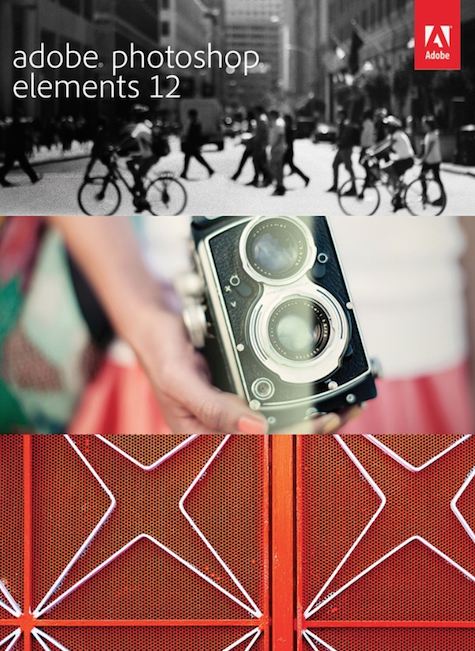 For example, some smaller features that are new in Elements 12 are listed below. In the Organizer, in the Tags Panel, we now show Places and Event tags, and you can drag them onto an image or video to assign them. In the Organizer, in the Places view, you can now show the photos on the left grouped into Places instead of just showing them all in a grid. In the Editor, there is now a File>Open In Camera Raw that allows you to open any supported file format using Adobe Camera Raw. How important is iPhoto integration? Do you consider iPhoto to be an inferior parallel universe to your new robust Organizer, or an image source that is complementary? And why can’t PSE12’s Organizer import certain folders or image ranges from iPhoto, instead of needing to grab the whole catalog? Ongoing interaction between iPhoto organizer and the Elements Organizer is not a supported workflow. You do need to make a choice which application you want to use to manage your media. The Elements Organizer has an Import From iPhoto feature, so moving from iPhoto to the Organizer is simple. For folks who want to stick with iPhoto, it is simple to use the PSE Editor for advanced editing, while continuing to use iPhoto for management. We, of course, believe the Elements Organizer is a much more robust solution for folks who have a serious set of media to manage. How well does PSE12’s improved Organizer manage Places and Faces, compared to iPhoto? For Faces, we’ve done performance and accuracy testing against all the other applications that do Face Recognition. We’ve found that we are on par, or slightly better, but nothing drastically different. The real thing that matters here for users is the workflow that surrounds the technology. We built a workflow that has tested well with users. Significant usability testing was done, and we iterated over a number of design options. The way it works was driven by this research and testing. How good is your Organizer’s Instant Fix? We’ve found many of our users are thrilled with it, and use it often. The Editors’s Editing Engine is “better” since it’s based on the Photoshop code. You can get “better” results by opening an image in the Editor, and using the various one click fixes there, but the Organizers One Click Fixes do a great job. It really comes down to how much “better” any particular users wants and how much time they want to spend. What are the best tutorial sources for helping people learn about the many versatile features on your improved Organizer, both local to computer and Internet-based? There are a lot of them. Some of them are free, and some of them are paid subscription services. I tend to try and not “recommend” any particular paid service over any of the others. Most of them are very good. My go to “source” is actually Google. When I need to know how to do something in PSE, a quick Google search typically gets me a number of good tutorials on the subject. We also try and curate “the good stuff” at this link. We’ve also built a YouTube channel with a bunch of PSE tutorials: For folks who like books, there are lots of good ones. The Missing Manual series by Barbara Brundage is always popular with folks. Why are all the new Organizer mobile settings only found in tiny hidden locations on the computer interface? Actually, most of the Mobile Settings are in the Preferences Panel, but yes, the Share Album, and Share Library icons are a bit small. Why did you change Editor’s panels to be free floating instead of easily docked without using the Custom option? This was actually a change made in PSE11. The primary design point was not “to make them free-floating,” but to make the panels commonly used by BEGINNERS pre-docked, and easily accessible. The more advanced panels ended up in that floating panel. In pre-release user testing, this actually tested very well with beginner users, as they don’t use those advanced panels. For more Advanced users, we created the Custom Workspace mode so you could configure the UI [user interface] any way you want. It’s kind of a best of both worlds situation, but does require an advanced user to select the Custom Workspace option. In Guided Edit mode, why is your scroll bar so narrow pale gray on medium gray and difficult to work with when the list is fully expanded? Do you ever consider that many of your loyal users have been with PSE for many years and are older now and are unable to manage your slimmed down visuals? Yes, it is a bit skinny. Fixing this issue is one of the items on our list for a future release. What do you say to people with smaller laptop screens who continue to be perplexed by your new Options Bar taking up so much space at the bottom of the display, and being mutually exclusive with your Photo Bin? Why not have mini or resizable versions of both of them? There was actually a LOT of design discussions that happened as we redesigned how we present the tool options. Lot’s of usability testing as well. We landed at a spot where the tool options are now much easier to discover and use than in the earlier UI design. For smaller screens, we also made it easy to hide/show the Tool Options to get some screen real estate back. Overall, the new UI has tested much better from an Ease Of Use perspective than the old design. How many times using Auto Smart Tone until it gets “smarter”? What is the best way with Content Aware Move to avoid a residual ghost image from the moved person? While the moved person is still selected, use the Healing slider in the Content Aware Move panel to adjust the look of the healed area. The slider makes slight changes to the algorithm, so you can achieve the result that looks most natural. Do you consider this Content Aware Move to be a standalone feature, or do you typically need to fine tune it using your legacy Healing Brush and Clone Stamp tools? In serious usage of Content Aware Move are you often using Undo, or is it a consistent workflow throughout a range of different types of images? It is very image dependent, and more specifically, dependent on the object in the image you’re moving. Many times it works great all by itself, and sometimes it needs a little post move help. The Spot Healing Brush and the Clone Stamp are my two go to tools to do some final tweaking. 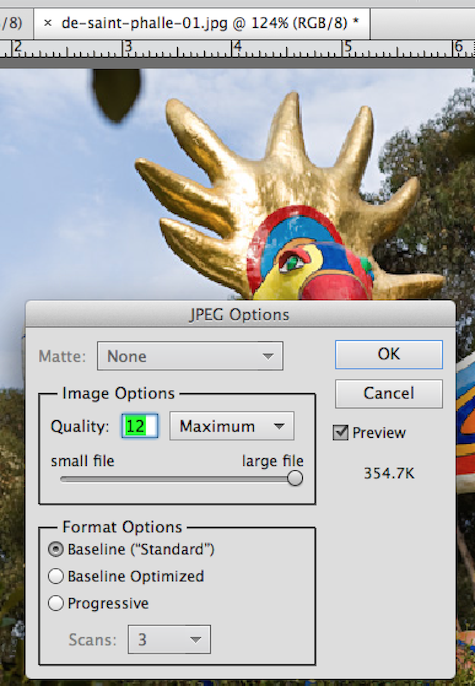 Why is the OK box for JPEG Options so difficult to identify visually? It’s almost identical to the Cancel box. We see this other places too. What is the purpose of making your selection boxes so darn imperceptible? Making them “imperceptible” certainly wasn’t a goal. In fact, matching the UI of the OS is the goal. If you take a look at the Win8 UI for this kind of thing, we match it exactly. And we’re fairly close to the Mac OSX UI. Tell us where we can learn all about Revel, and why it is so important now with PSE12. Here is where you can learn more about Revel. The Revel integration into PSE12 is important because more and more of our users’ photo activities are becoming mobile. The integration of Revel into PSE solves the two problems we’re hearing from our customers. 1) How do I access my photos when I’m away from my computer, and 2) How do I get photos I’ve taken on my phone into my computer. The Revel integration into PSE12 solve both these problems for folks. Do photos in Revel on iPhone consume storage space on iPhone, or only on your cloud? Is there a limit for freebie usage? They won’t automatically consume space on iPhone, as they are saved in the cloud. However you can save to your phone if you’d like. The limit for freebie usage is 50 photos/month. Once those 50 are saved, may I keep them forever, and add up to 50 each additional month, without any max limit? What is your URL with details on this feature and its pricing structure? Correct. There is some cache space consumed, but the idea is that images are stored in the cloud, and only downloaded to the phone as needed. There isn’t a Max Limit. Typically, only smaller renditions are downloaded for presentation on the screen. Here is a link to our plans. The basic difference is that the Free level now let’s you store up to 2GB of media where the old plan restricted you to 50 uploads per month. How long does it take for the photos to appear on remote device when adding them to Organizer’s Mobile Album? It depends on your bandwidth. And the size of your images. Give us a few typical examples of duration, from a crowded coffee shop DSL to a high speed enterprise environment cable/T1/T3. Is deletion from a Mobile Album also network dependent, or is it immediate? Sorry, I don’t have specific test data to share here. It’s simply about bandwidth and size of your images. Deletions don’t require an image transfer, so they happen very quickly. But, if there are uploads in progress, the deletion won’t happen until any previously scheduled uploads are complete. So, the deletion will happen “instantly” on your local computer, but may take some time to propagate to the cloud storage. 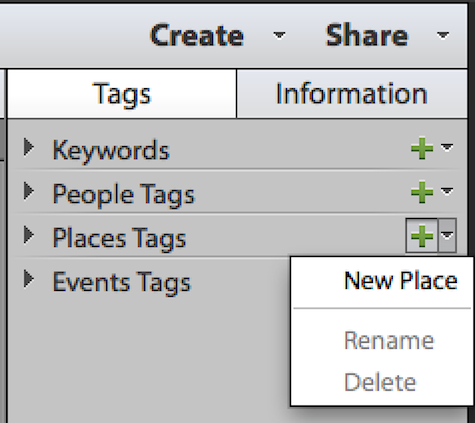 What is Adobe Partner Services in Preferences? APS is the name we’ve given to the collection of partners we’ve integrated into the product: Shutterfly for Printing, Facebook for Sharing, and SmugMug for Web Galleries. There are a number of preferences that control how these service integrations work, and that’s what Adobe Parter Services Preferences control. Where can users find the prices, reviews, and turnaround times for your outsourced photo creations? The relevant partners’ website will have this information. For Prints, Books, Cards, and Calendars in the United States, we partner with Shutterfly. Their site will have additional information about their service. Thank you, Bob and Adobe. MyMac Podcast #507: No Guy, but we have a special guest!